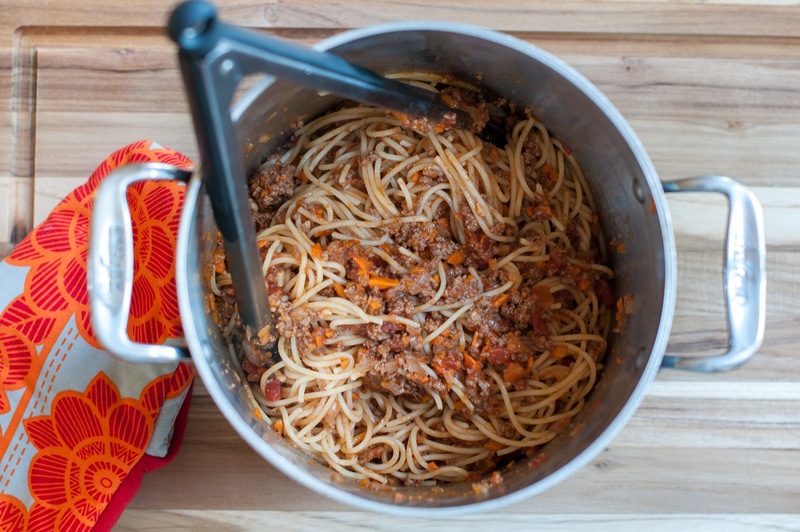 Spaghetti bolognese is such a classic dish and the perfect comfort food. I have changed up the classic and made it a bit healthier by substituting buffalo meat for the 1/2 pd each of ground beef and pork. My family uses buffalo meat in place of ground beef in everything from burgers to tacos, you name it. Buffalo has 70% to 90% less fat compared to beef and 50% less cholesterol; it’s also leaner than both pork and chicken and has fewer calories than all three. On top of that, buffalo is higher in protein, iron and all the omega and amino acids. There are also no growth hormones, steroids, or sub-therapeutic antibiotics used. You can research more on the health benefits of buffalo if you want. 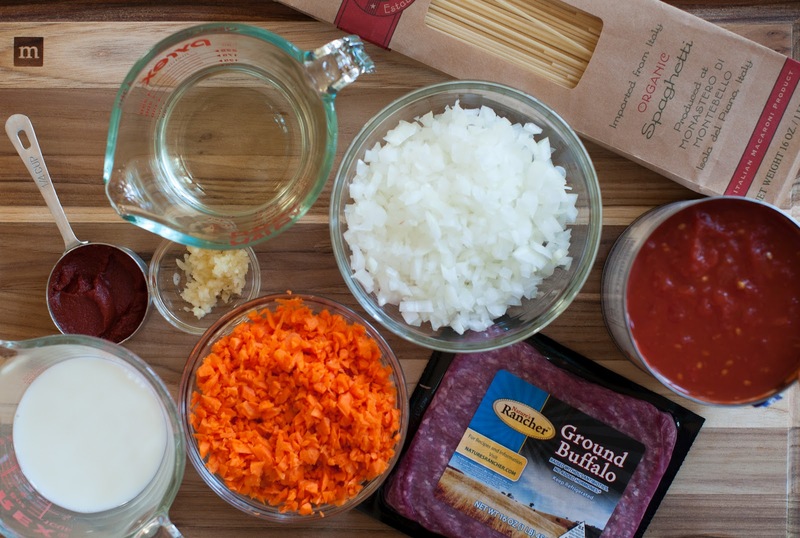 I think for all of its nutritional benefits, buffalo meat is worth a try, wouldn’t you say? You can pick up buffalo pretty much at any grocery store or Whole Foods. If I know that I’m going to use the buffalo that night for dinner, then I will pick up some fresh ground meat. Most of the time though, I pick up the pre-packaged variety because it does not have to be used right away, and I can have it handy in the fridge till I need it. Note: If you want to even make this dish healthier and carb free, you can substitute regular spaghetti pasta for quinoa pasta. We tend to do that when we are all carbed out. 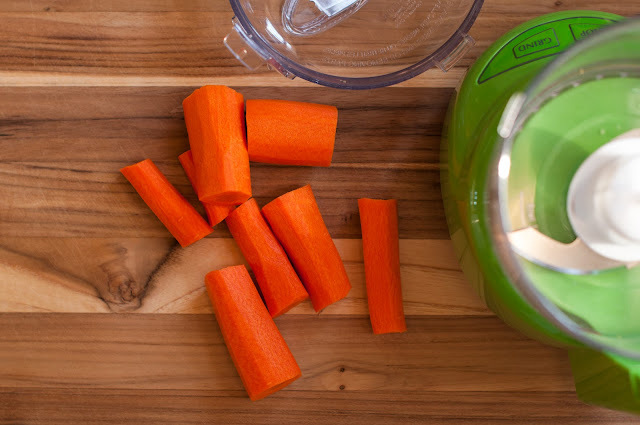 My kids love it and so do I because I feel like I am eating an extremely healthy meal. 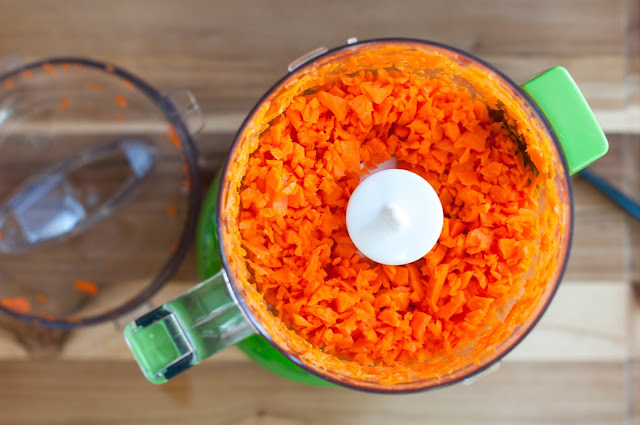 I usually prep all of my ingredients ahead of time, as it makes it easier when cooking the sauce to have it all ingredients handy and ready to go. First chop up your onion and mince your garlic. I find it really tedious to chop up carrots, so I peel and cut them into large chunks and throw them in my mini prep or food processor. Easy peasy! In a dutch oven or large pan, heat 1 tablespoon of olive oil over high heat. 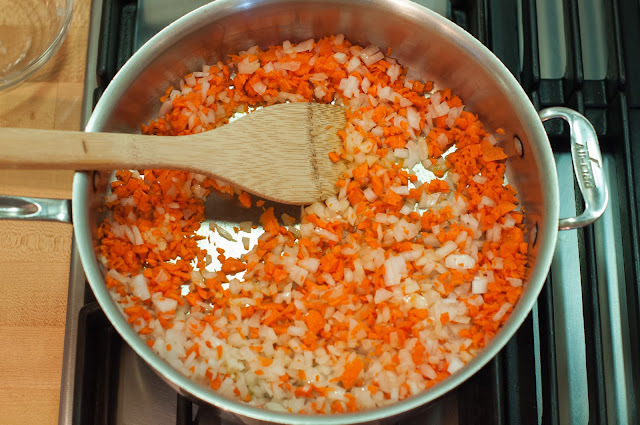 Once the oil is heated, add in the carrots, onion and garlic; cook, stirring, until slightly softened, about 2 minutes. 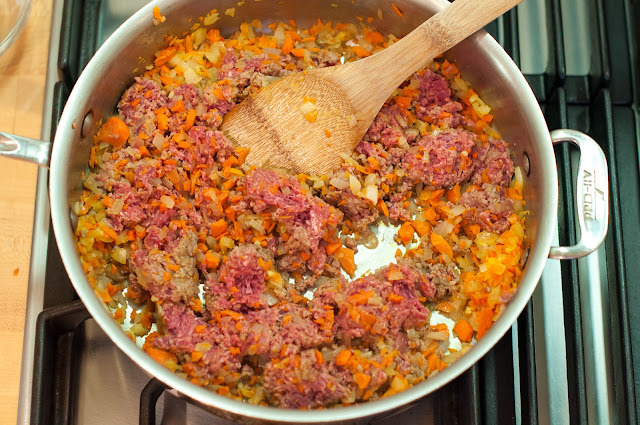 Add the buffalo, cook, breaking up meat with a spoon, until no longer pink, about 5 minutes. Isn’t the buffalo so pretty? You will not find any fat coming off of this meat. 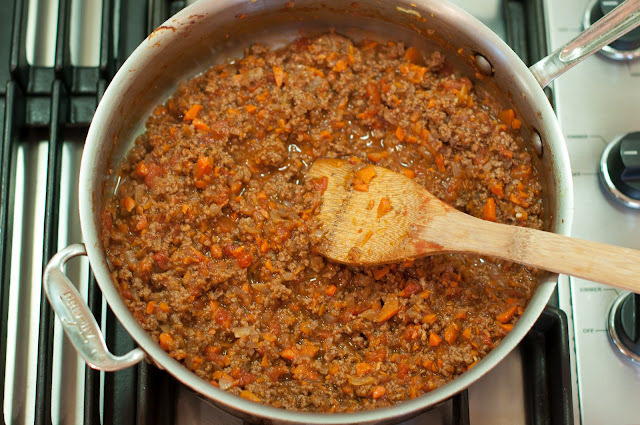 Once the buffalo meat is browned, stir in the tomato paste; cook 1 minute. Season with salt and pepper. Add in the wine and the crushed tomatoes and stir to combine. Bring sauce to a simmer; cook partially covered, stirring occasionally, until thickened, about 45 minutes to an hour. Add in the 1/2 cup milk; simmer until completely absorbed, about 15 minutes more. When the sauce is almost done, (I usually put the pasta in after I add the milk to the sauce) cook the pasta in a large pot of boiling salted water until al dente, according to package directions; drain. Put pasta back in the pot; add the meat sauce and combine. Now its time to serve up your pasta! Top the pasta with some shredded parmesan and pair it with a salad, garlic bread or a vegetable of choice! I love it when that happens with the same food on the same day…I love your step by step photos, it helps with this dish. It was too dark and gloomy here to attempt it. In fact I had to photograph the re-heated pasta the next morning. I don’t know about the Buffalo, but then again, they do make good mozzerella! This was a HUGE hit at my house last nite! I used ground pork and beef because I had it on hand, next time I’ll give the buffalo a try. 5 Bakers gave it a BIG thumbs up! !